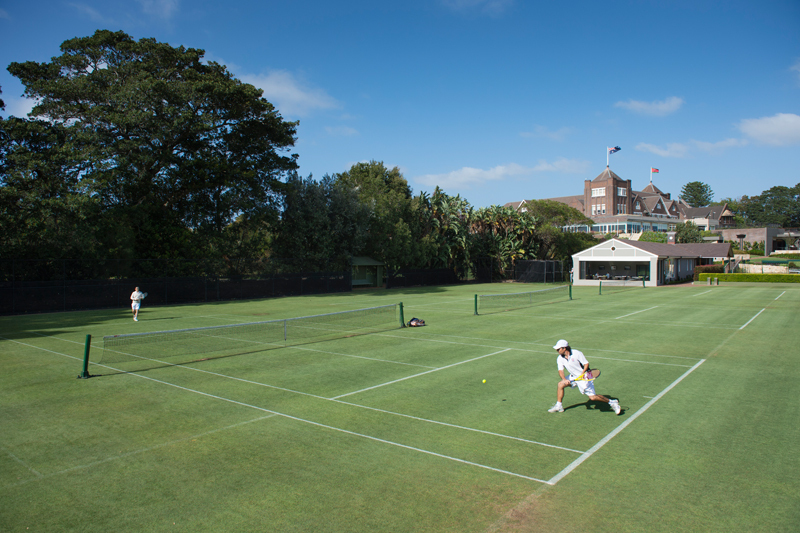 The Royal Sydney Golf Club features a total of 18 world class tennis courts, seven synthetic and eleven lawn courts, which are available for the use of members and their guests all year round. 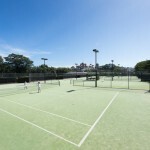 Tennis has always been a very popular sport at Royal Sydney. 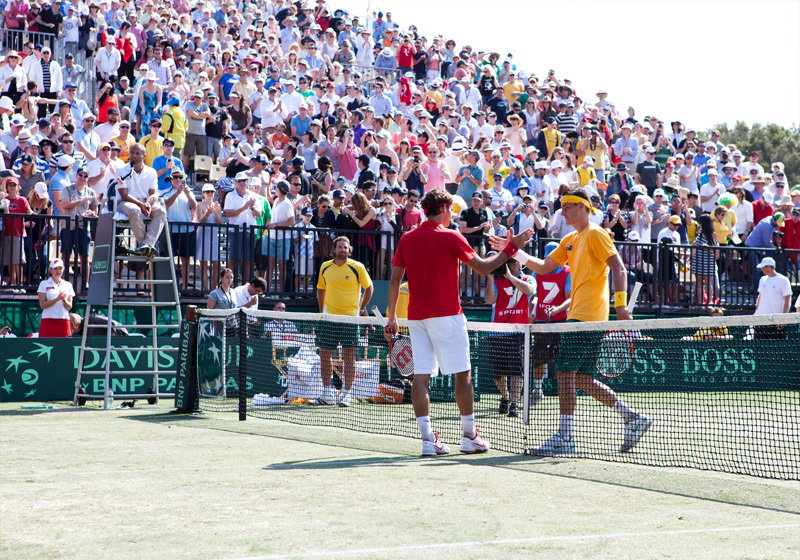 Over the years the Club has played host to many tournaments (most recently the 2011 Davis Cup Tie between Australia and Switzerland) and produced a number of internationally successful players. 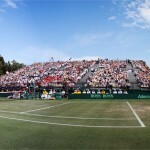 Although the starting date of tennis at Royal Sydney is unknown, historical records show mentions of “the court” in 1905. Further records show that at least three courts and a croquet area were established between 1907 and 1909. 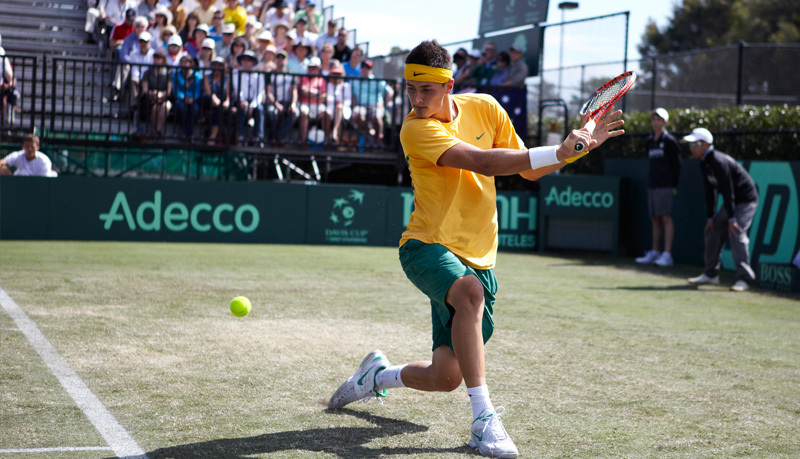 Around this time the Australian Davis Cup team were enjoying considerable success, winning the Davis Cup in 1907, 1908, 1909, 1911, 1914 and 1919. 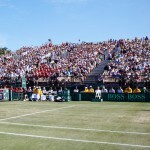 Two members of these teams – Sir Norman Brookes and Gerald Patterson, MC were also Royal Sydney members and had much to do with the foundation of tennis at the Club. Brookes was the first man from overseas, the first left-hander and the first Australian to win the Wimbledon Singles crown, in 1907. He won again in 1914; he also achieved two Wimbledon Doubles titles. Patterson won the Wimbledon Singles at his first attempt, beating Brookes en route to that title in 1919 and he won again in 1922. 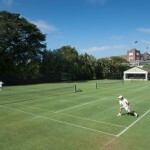 As the popularity of tennis grew, the demand for more courts was enormous and by 1913, another nine courts were laid. 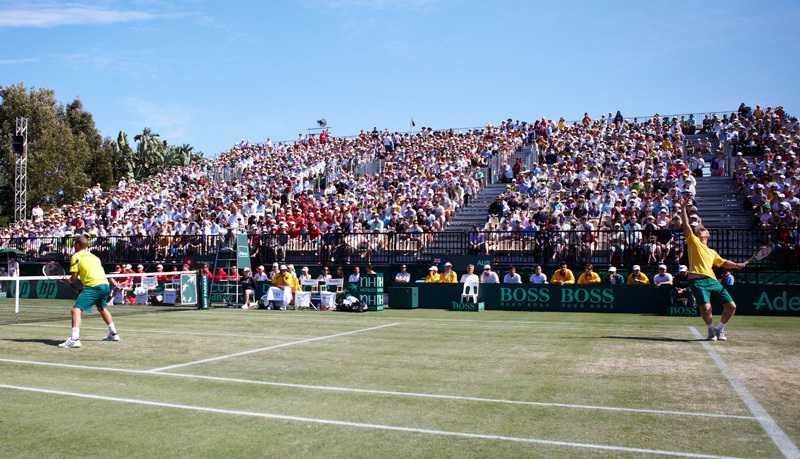 By 1920 there were twenty-five courts in play. By 1926 there were at least 200 members playing tennis regularly. Even with twenty-four courts there was constant pressure for playing time. 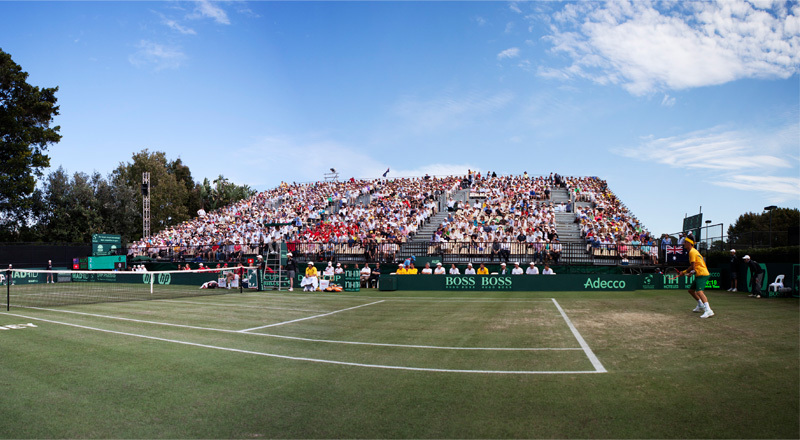 Over the years the grass courts were supplemented by various surfaces, including the ant-bed (en tout cas) clay courts. 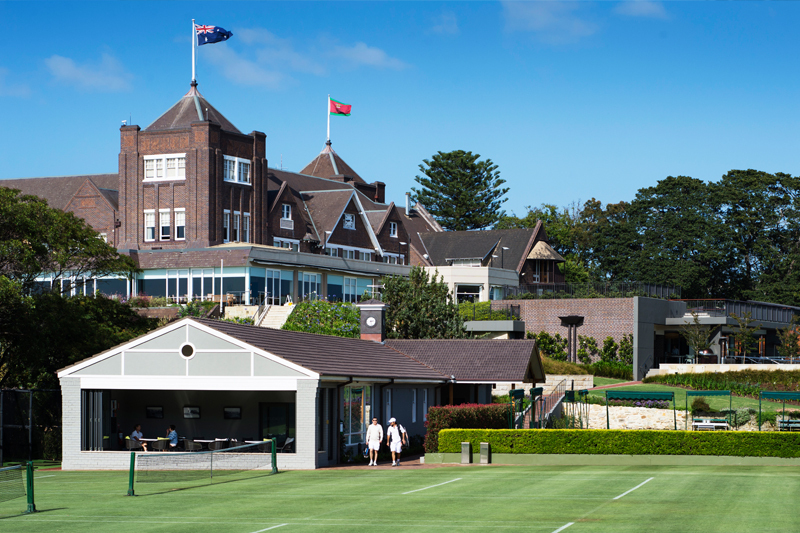 Royal Sydney members played a major role in the creation of the Lawn Tennis Association of Australia. The Club’s archives retain the original copy of the 1915 constitution and the rules of the LTAA. 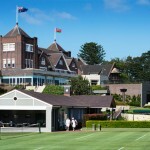 In July 2003, The Royal Sydney Golf Club hosted a ladies Federation Cup tie. 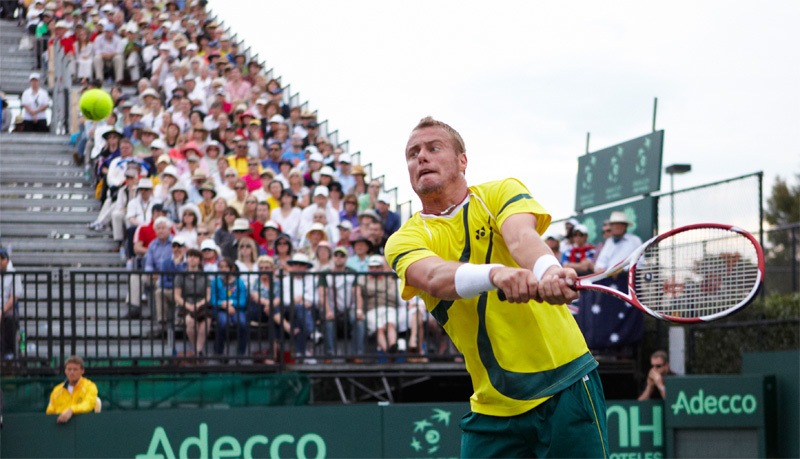 In 2011 Tennis Australia was struggling to find top quality lawn tennis courts in winter to host the Australia v Switzerland Davis Cup round when Royal Sydney was approached owing to the quality of the lawn courts and the facilities available. 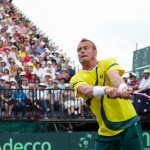 In the tie, the Swiss team defeated the Australian team 3/2. 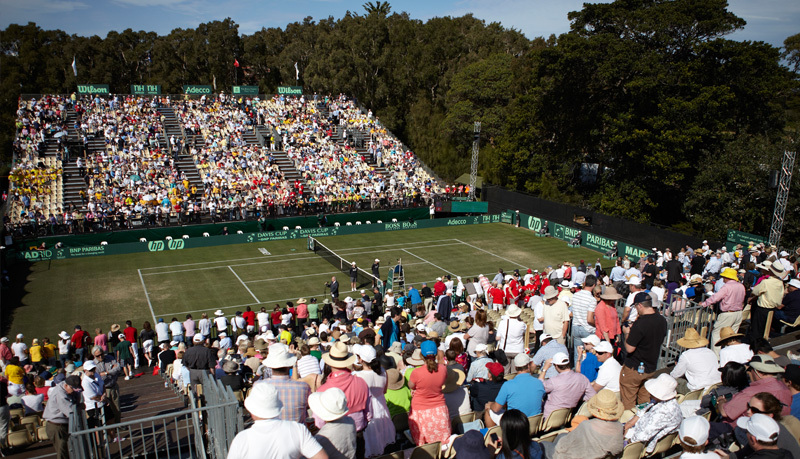 Currently, Royal Sydney has 18 tennis courts in total: eleven lawn tennis courts, four with Wintergreen Couch and seven with Santa Ana Couch. 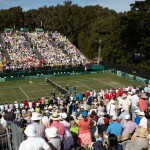 There are seven synthetic grass tennis courts. 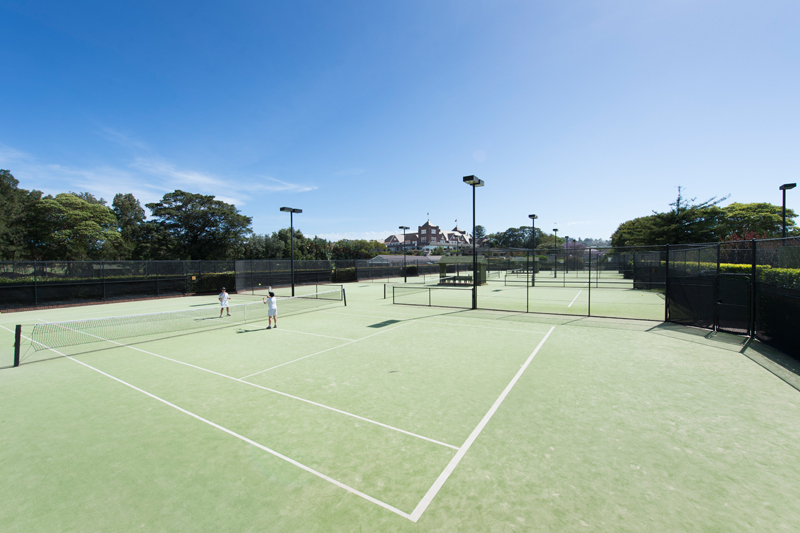 The tennis courts are available for play by members all year round.